Knowledge, experience, creative thinking and thousands of hours of work have all contributed to the development of these resources. Triune Initiatives produces literacy and numeracy resources designed for learners of English worldwide - all ages & origins - from primary (elementary) school through to adult students. Triune writes and publishes specialised reading assessment and teaching resources that have been written in direct response to need. Thousands of hours are spent in the development of each resource. All resources are available to educators worldwide. Professional Development is available. Seminars & workshops are not all specifically dedicated to Triune Initiatives' publications, but cover a wider field of literacy, comprehension and high level questioning. 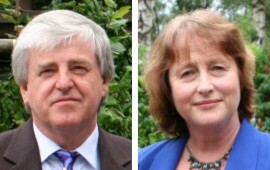 have been involved in education for over 45 years as teachers, advisers, assessors, writers and resource developers. They take a practical approach to developing and utilising processes that have positive outcomes for all learners regardless of age, ability or circumstance.